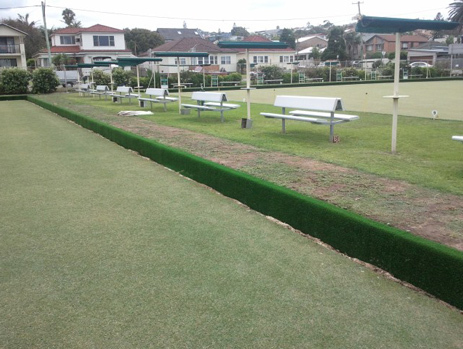 With ever increasing popularity of coloured bowls, together with their cost, clubs need to be aware of their responsibility to protect their member’ bowls. Using a soft long pile (19mm) the product gives a cushion effect and will not show ding marks as a result of hard drives. 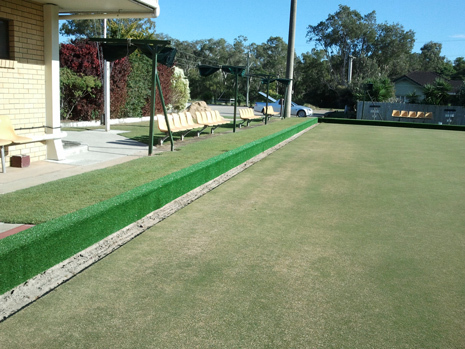 The SUPERGRASSE Ditchwalls give a natural turf appearance, without the maintenance and ensures bowl protection. We can ‘supply only’ or do the ‘whole job’ for you. There is a 5 year manufacturer’s warranty.